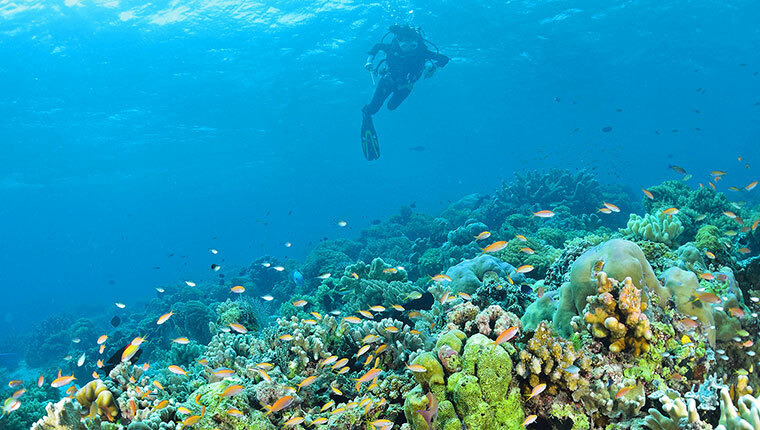 With 300 islands and many more dive sites (some are still waiting to be explored), Sabah offers a smorgasbord of enchanting scuba diving experience for both the novice and the seasoned divers. Led by the world-renowned island of Sipadan, which is once described by Jacques Cousteau as an ‘untouched piece of art’, Sabah’s islands offer dive sites with magnificent underwater diversity. With excellent visibility, you can expect to spot rainbow-coloured fish, barracuda swirls, graceful sea turtles and hammerhead sharks. The east coast of Sabah is an opulent dive paradise, there is something for absolutely everyone! The dive sites off Mabul island, for example, is famous for its muck diving--a dive-term for diving in a muddy or mucky environment. The PADI Advanced Open Water Diver course is suitable for any Open Water certified diver seeking to upgrade your diving skills, equipping you with important skills that instills confidence as you venture deeper into the exciting underwater world. 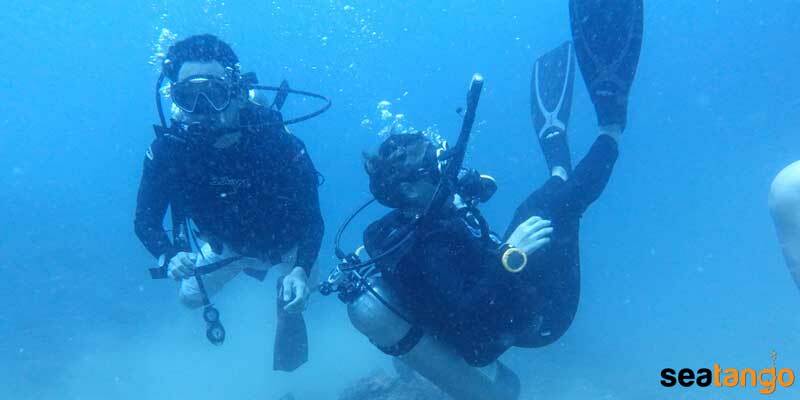 The program consists of 5 adventure dives - 2 Core Dives and the choice of 3 Elective Dives. You are required to have finished 2 Core Dives and can choose any 3 Elective Dives from the list below. 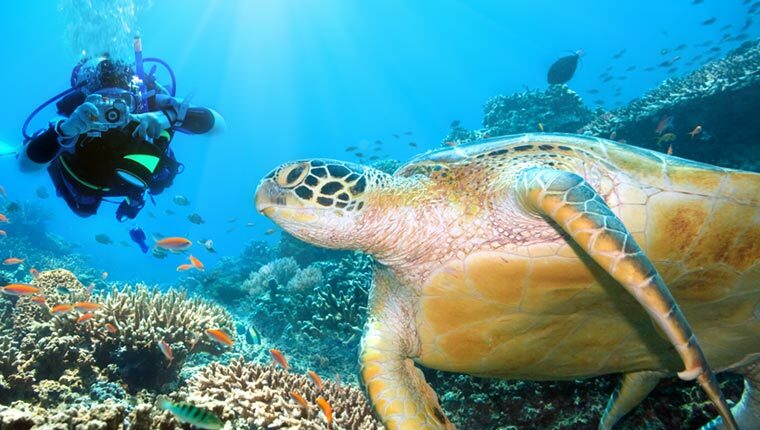 Blessed with some of the most ecologically diverse waters in the world, Sabah offers a variety scuba diving experiences depending which scuba diving site you choose to dive in. The pristine coral atoll of Layang-Layang island offers a chance to swim among the hammerhead sharks, while the legendary Sipadan island teems with cavorting turtles and breathtaking barracuda vortex. There’s always something weird and wonderful to be discovered in Sabah’s incredible macro dive sites. All rates displayed are inclusive of 0% Goods and Services Tax (GST). Diving max 30pax (based on 2 boats, 15 pax per boat). 4 divers to 1 instructor. For Single Travellers who are taking the course, additional MYR 300 is applicable (Course will be one-on-one basis with PADI Diving Instructor). If Single Travellers combine with another group, 2-3 pax group price is applicable. If you select "Night Dive" as one of your Elective Dives, a surcharge of MYR60 per pax will be applied upon booking for a group of 2 pax and above. Please refer to “Who Can Enroll”. 2-Way Boat Transfer, Meals as Stated, Diving Instructor, Diving Manuals, Diving Equipment, Dive Certificate, English Speaking Support Team, Sabah Park Entrance Fee, Sabah Park Diving Fee. Tipping (Optional), Alcoholic Drinks, Personal Travel Insurance and Any Items Not Mentioned. If you select "Night Dive" as one of your Elective Dives, a surcharge of MYR60 will be applied upon booking. KD - Knowledge Development (online, home study or in a classroom) to understand basic principles of scuba diving. AW – level up on your knowledge, experience and confidence, Adventure Dives grants you the opportunity to learn about exciting new activities. The course will contain 5 KD session and 5 AW session. Participant who age between 12 till 14, please enquire for more details. Before enrolling, please make sure that you are “Fit to Dive”. Kindly download the RSTC Continuing Education Administrative Document HERE or ensure that you get the medical statement from us and read it thoroughly, this is for your own safety. If you answered “Yes” to one of the question, we must request that you consult with a physician prior to participating in scuba diving. 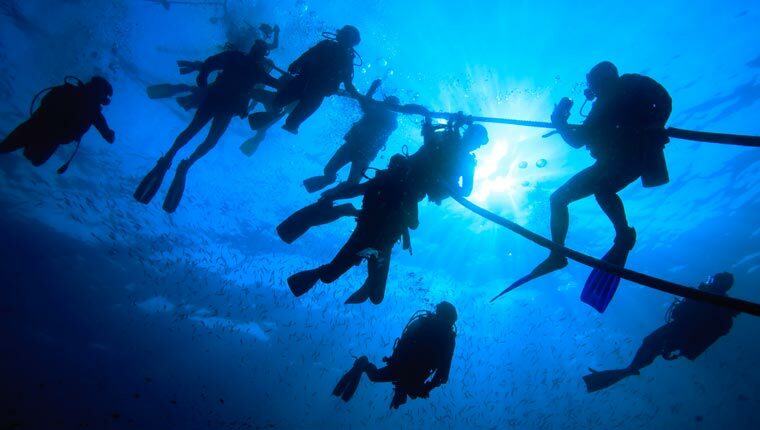 Your instructor will supply you with an RSTC Medical Statement and Guidelines for Recreational Scuba Diver’s Physical Examination to take to your physician. In the PADI Open Water Dive course, you will be using basic diving such as BCD (Buoyancy Control Device), Scuba Regulator, Weight System, and SPG (Submersible Pressure Gauges). Wetsuit, fins, snorkel and mask are all included in your course fee. By the end of 2 days, you should have completed 2 Core Dives and 3 Elective Dives. Follow the instructions of your Dive Instructor and Dive Master for the arrangement of your dive sequence. You are not allowed to dive 18 hours before your flight. Please schedule your flights accordingly. Boat journey to the Island may not be suitable for individuals who have any of the following conditions but not limited to: heart or lung conditions, recent surgery, back or spinal surgery, back problems/injury/fracture, arthritis, osteoporosis or other similar spinal/pelvic diseases. Pregnant women are also not recommended as the boat ride may be bumpy depending on the sea condition. If you are having similar issues as above, kindly consult your physician before you enrol in this activity. 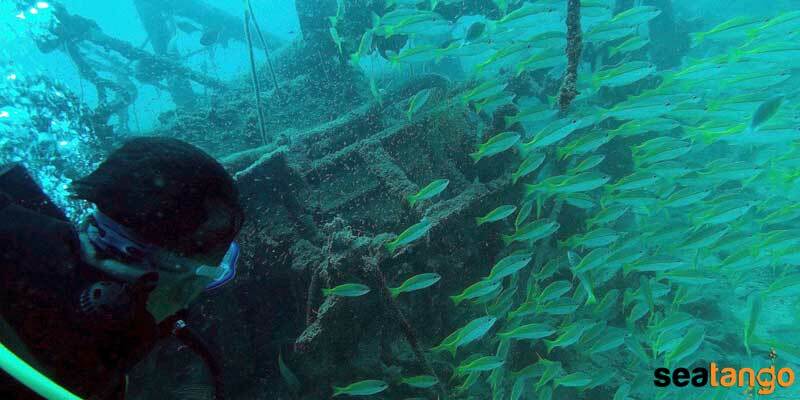 In the event of bad weather, we will not proceed with the dive tour due to safety precautions. You will need to sign the PADI release & liability form before proceeding for your dives. 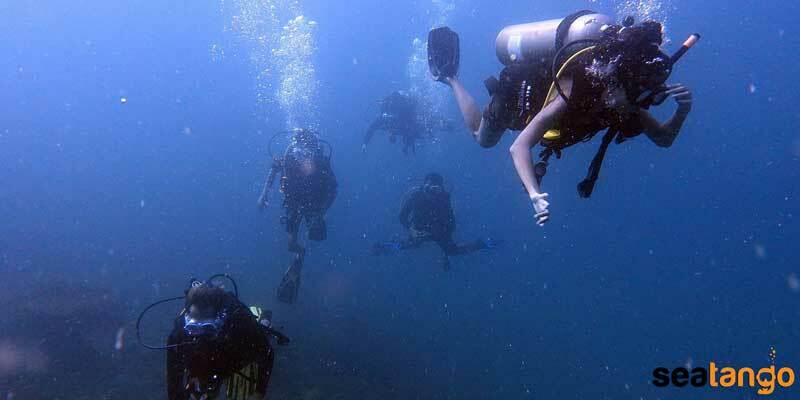 Kindly follow the instructions of your Dive Instructor or Dive Master at all times. 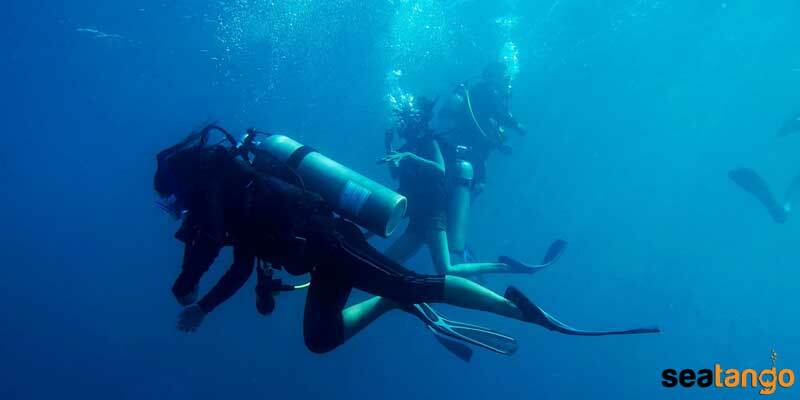 Alcohol consumption during your dive course or trip is NOT RECOMMENDED. Kindly inform in advance if you have any health concerns. Conservation of the Underwater World - Harming of coral or marine life is strictly not allowed. You are advised to purchase personnel injury & travel insurance prior to your trip.